On September 29th, we remember and commemorate those we've lost. 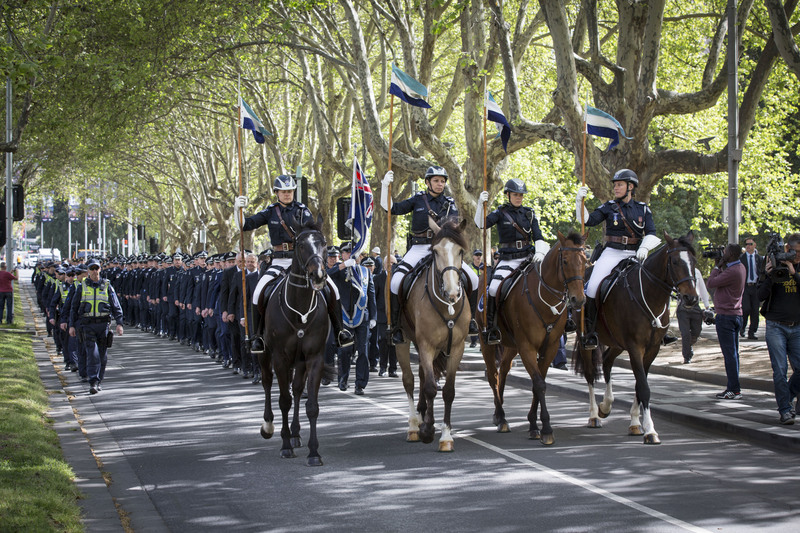 National Police Remembrance Day is annually held in Melbourne and key regional centres across the state. We encourage all Victorians to attend if they can. Find out about the National Police Memorial. The members listed below have paid the supreme price in the service of their community. Their duty-related deaths are hereby commemorated in the Victoria Police Honour Roll and serve as a reminder that policing is never without its risks. Shot in the Western District by an escaped convict. Drowned when he fell from a wharf whilst investigating a charge of pilfering from a moored vessel. Died as a result of assisting at a postmortem whilst having a cut on his skin. Inquest verdict: "absorption of matter in his skin"
Fell ill while on duty and passed away several days after being placed under a doctor's care. Fatally injured in a motor car collision whilst travelling as a passenger in a police motorcycle outfit. Shortly after 1am Wednesday 16th March 1983, Constable Clare Bourke was fatally shot by a round from an off-duty officer's revolver at the Sunshine Police Station.